His most memorable season in an NHL career that spanned 888 games came in 1981-82 when he patrolled left wing for Washington. In 80 games, Maruk produced 60 goals, 76 assists and 136 points. Two of those marks still stand to this day, but one has been relegated to second spot all-time after Alex Ovechkin notched 65 tallies in 2007-08. But the now 62-year-old, who is one of only 20 players in NHL history to score 60 or more goals in a single season, doesn’t hold any ill will towards one of the most prolific offensive superstars in NHL history. In fact, whenever they meet up, Ovechkin is quick to remind the man who scored 356 career goals of two things in particular. What Maruk would like to see happen in his time is for the Capitals to hoist the Cup. The only thing left standing in their way is the Vegas Golden Knights, a team once pegged at 500-1 to win it all. Vegas took game one 6-4 on Monday night. 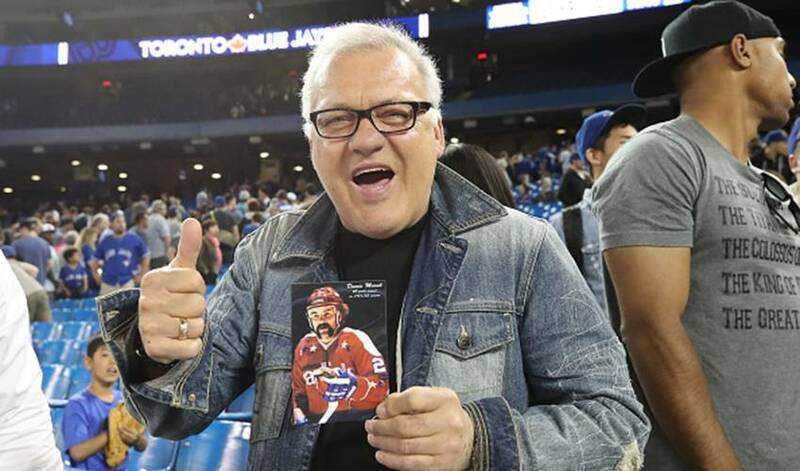 Maruk, who co-wrote a book with Ken Reid entitled, Dennis Maruk: The Unforgettable Story of Hockey’s Forgotten 60-Goal Man, likes what he sees from his former team. Would Maruk, who also played with the Cleveland Barons and Minnesota North Stars during his NHL days, have fit in on this year’s edition of the Capitals? As for whom he’d compare himself to on the roster, Maruk, who played his last season with the Capitals in 1982-83 and helped the team to their first playoff appearance, opted for two players. And as for No. 8, the three-time Ted Lindsay Award recipient who has 607 regular season NHL goals, Maruk has more kind words for Ovechkin. He’s also thrilled they share something in common.